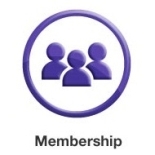 NASeA was founded in 1991. I was born in 1991, during the great Nepalese festival Vijaya Dashami (celebrated on victory of good over evil). After being blessed by our “Aama” who came from Nepal, my birth was witnessed by my well -wishers from GA, AL, TN, FL, NC, and SC. 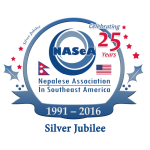 During the second meeting in Atlanta, GA I was given a name NASeA which stands for “Nepalese Association in Southeast America”. My physical territory covers the vast Southeastern part of the United States of America. Having said so, this task will require hard work, commitment, envisioning, and non-stop perseverance. Formally, I was incorporated by the State of Georgia on May25, 1993. In the beginning, annual conventions were held during the Christmas holidays. In 1993, considering the weather, it was decided to move the event to the Labor Day weekend to allow for easier travel. Conventions had been held in Auburn and Birmingham in Alabama, Jacksonville in Florida, Atlanta in Georgia, Raleigh in North Carolina, Oxford in Mississippi, Nashville in Tennessee, Chicago in Illinois, Omaha in Nebraska and Louisville in Kentucky. This way, I am able to reach out and make many friends. Conventions had been held jointly with the local organizations as well as with my sibling Association of Nepalese in Midwest America (ANMA). During the 1996 Olympic in Atlanta, it was my pleasure to welcome the late Crown Prince Dipendra Shah and the Nepalese Olympic delegates and athletes. My name is carved in a cinnamon color ceramic at the Centennial Olympic Park in Atlanta, located at park # 88, serial# 213094. In 2000 (Y2K), after more than a year -long planning, a joint convention of Nepalese associations was held in Atlanta. The theme of the four-day “First International Convention of Nepalese Associations” was chosen unanimously as “Nepalese Unity 2000” to reflect the new millennium for Nepalese unity around the world. This convention was a part of my growing up as an able and visionary organization. More than 1,400 participants, including seven delegates from Nepal consisting of noted politicians, historians, and literary figures such as Sher Bahadur Deuba, Rishikesh Shah, Jhala Nath Khanal, Tana Sharma took part in this convention. Many Nepalese associations from the USA, Canada, Middle-east, Europe and South Asia participated in the panel discussions, poetry festival, and cultural programs. Delegations from various social organizations such as International Personality Research Council, Red-Cross, Lions Club, Peace Corps, and World Peace Organization spoke at the convention. 1. Recognizing the concept of open expression as a basic human right; calling for the free and open expression of ideas by those in the international Nepalese community, regardless of actions by others to the contrary; opposing the suppression of free and open expression; and for other purposes. 2. Indicting violence as a debased from of expression; recognizing the negative consequences of such expression; identifying an appropriate alternative; and for other purposes. 3. Affirming equality on the basis of race, gender, age, economic achievement and political positions as god-given right; opposing limitations placed on this right by men against women, by the socially advantaged against the socially disadvantaged, and politically powerful against the politically weak; and for other purposes. 4. Condemning the caste system, bonded labor, sexual exploitation of women, and cruel and inhumane treatment of animals; and for other purposes. 5. Identifying the balance of the environment (five elements/PANCHA TATWA) as a core Nepalese belief; affirming the need to keep the environment in balance; identifying mankind as responsible for loss of biodiversity; calling upon Nepalese to lead other by example in restoring balance to the environment; and for other purposes. 6. Recognizing the interdependent relationship of mankind upon each other, describing forms of this interdependence; identifying the prevalence of volunteer opportunities; calling for a spirit of volunteerism in the Nepalese community in support of each other and others; and for other purposes. 7. Recognizing the role of developing technology; distinguishing between beneficial and detrimental us es of advanced technology; calling for broader sharing of beneficial technology; and for other purposes. 8. Recognizing the richness of Nepalese culture; identifying common examples of widely beneficial elements of our culture; calling for individual and group efforts to retain national identity and heritage in diverse settings; and for other purposes. 9. Calling for the creation of standing committee to direct and oversee subsequent international conventions; and for other purposes. 10. Call for the creation of “World Nepalese Congress” (currently NRNA) to promote democracy, preserve Nepalese heritage and facilitating economic improvement of the people of Nepal and Nepalese worldwide; and for other purposes. The above resolutions were adopted by the general body of the convention. President Jimmy Carter was invited as Guest of Honor. However, due to his travel out of country, he could not address the convention. However, he was represented by his son Mr. Chip Carter and other officers from the Carter Center. The Mayor of Atlanta had declared the July 3, 2000 as “Nepalese unity Day”. The first decade of my life had been very hectic, and I had to work overtime all the time. Finding committed people to run the organization was not an easy task. I had to encourage potential young artists to come forward constantly for the cultural programs. Financial instability resulted in overwhelming hardship to run the various activities. Food supplies were donated/prepared in the special events which then were used to raise funds to cover the expenses of many events. Convention registration fee was kept at the minimum, so that many people, especially students, could participate. However the past ten years of my life have been very encouraging and rewarding. People seem to have built more faith in me and were willing to become my life members. Presently there are more than one hundred life-members and the number keeps growing. Everyone has been enthusiastic about what he/she can offer to me. Compared to my other siblings, I am more family oriented. I have always been in the forefront in helping out those in need, whether they are victims of Katrina in the US or Tsunami victims in Japan, Indonesia or flood victims in India and Nepal. I have been on front-line in providing education assistance for the schools in Nepal, where only 54% of the people are literate. I have been trying my best to reach out and provide the maximum support within my reach. After the Royal Massacre in Nepal on June 1, 2001, a memorial service was organized, which had wide media coverage in the TV as well as in the various newspapers in Atlanta. Just before the end of my first decade and at the end of millennium, I was able to host “Gaijatra Festival” along with other performances led by Madan Krishna Shrestha and Hari Bamsha Acharya. During the 2004 convention, I was honored to welcome Mr. Kul Chandra Gautam, Assistant Secretary General of the United Nation. One of the attractions in celebrating my birthday during this upcoming Labor Day weekend is the memorable cultural/talent performance. This is quite an opportunity for the performers whether they are veterans or novices trying out for the first time. Unlike my first decade, now I generate enough interest to perform for the cultural event. Now, it requires a pre-selection process to get into the allotted time slot. This is clearly a sign of a maturing organization. I have a long list of tasks ahead to serving my children. I would like to pause on my story by welcoming all of you to my 20th Birthday celebration. I will have more to tell you later. I would like to thank Dr. Biswa Acharya for his inputs and Dr. Kamal Malla for reviewing this article.